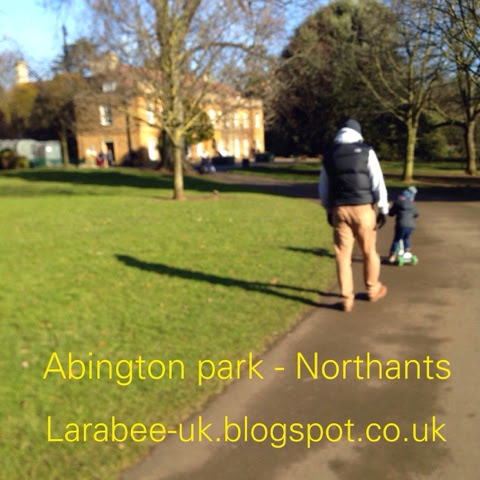 Today we went for a lovely walk/scoot around Abington park, in Northampton. It's a lovely town park not too far away from us, with a completely different feel to the more rural places to walk by where we live. We had a lovely walk/scoot around the gardens, visiting the aviaries and walking past the museum, every time we visit T says 'I've been in there' well, he has, but he was only 3 months old so can't possibly remember, although he does ask to go again, so maybe we'll visit again soon. 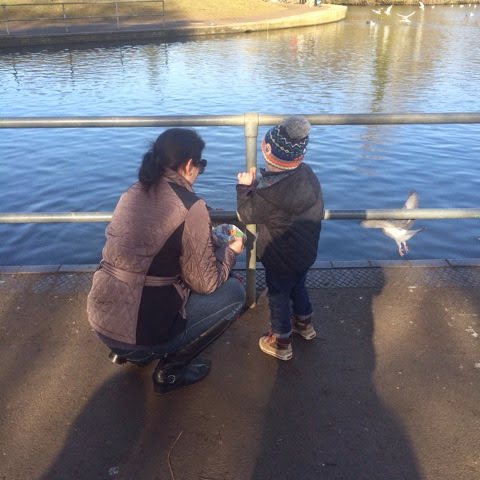 We crossed the road and headed to the lake, armed with some bread we feed 2 geese and a number of pigeons, we also gave some bread to a little boy who was watching us, a simple but very much appreciated gesture. After a nice walk around the lake, we headed on up to the park area, which was filthy so we kept off any slides etc and played on the ship (pirate ship). 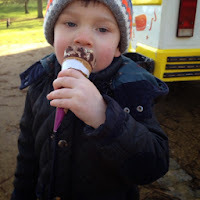 After playing pirates, we had an ice-cream treat, T chose a chocolate (what else?) cornetto and Daddy had a mint one, it took the entire walk back to the car for T to eat his ice-cream and that was with help from Daddy. 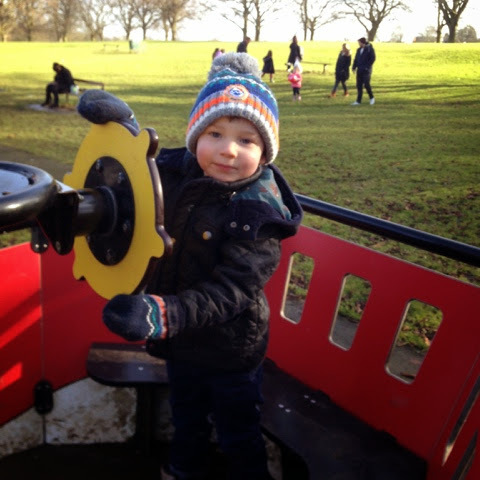 After a busy week it was great to get outside and enjoy the fresh air, especially on such a beautiful day! It looks like a great afternoon out in the park, sometimes it's great just to mooch around somewhere like this and enjoy everything going on around you. T looks like he's enjoying playing pirates and he looks like he's setting into the ice cream. Thanks for linking up with Country Kids.